The need to feed a global population of 9bn by 2050 amidst variable weather patterns and deepening environmental concerns is all exacerbating the need for new efficiencies, improved crop yields, and smarter agricultural practices. Sagentia’s work in robotics, smart sensors, haptics, metering, fluidics, software, machine learning / artificial intelligence and connectivity in combination with our teams of highly qualified and experienced chemists, physicists and engineers makes us the perfect innovation partner. At Sagentia we work across the entire agricultural supply chain. We provide services in device, process and software development. Through our combination of scientific knowledge and engineering expertise, we help seed breeders accelerate their development of disease, pest and drought-resistant strains of crops and scale their approaches for commercial use. 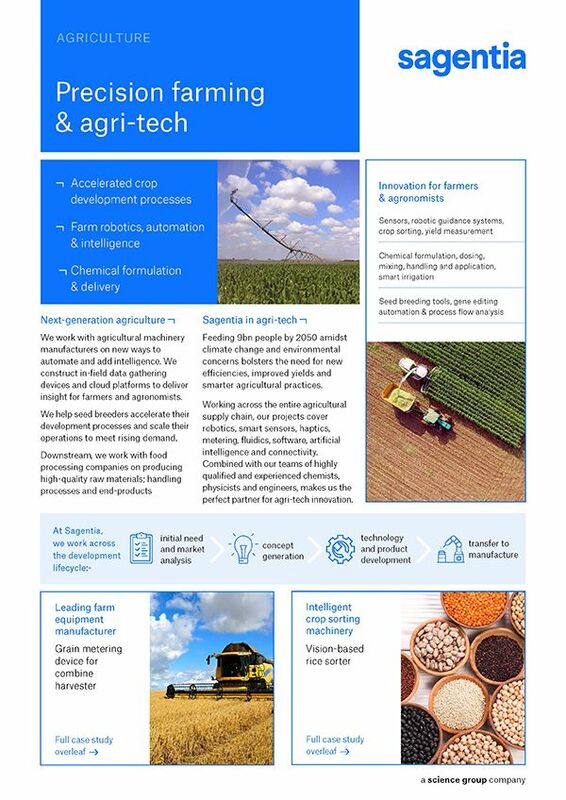 We work with agricultural machinery manufacturers on new ways to automate and add intelligence to their equipment and, using our experience in sensors, algorithms, data, and software, we are able to construct in-field data gathering devices and cloud platforms to deliver insight for farmers and agronomists. At the end of the supply chain, we work with the food processing companies to ensure that their input raw materials are disease free & high quality; that their fluidic and granular handling processes are optimized, and that their end-products meet their client’s exacting standards. 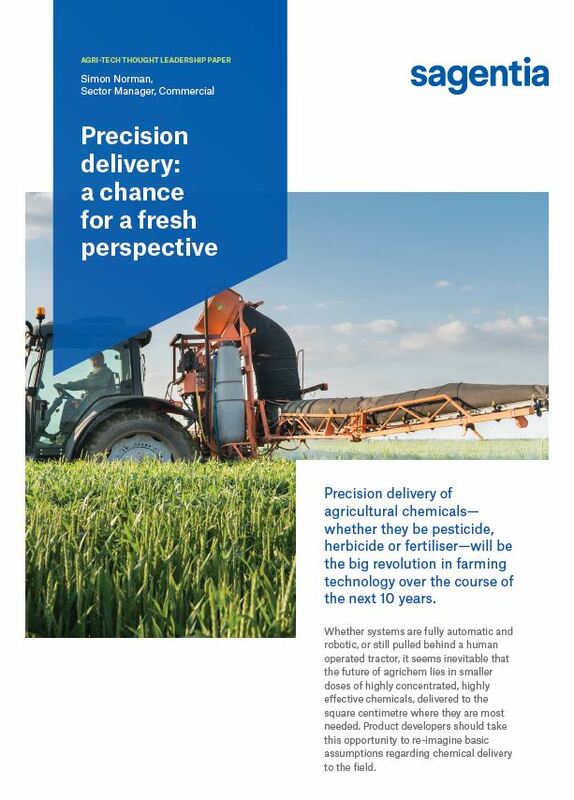 Our most recent thought leadership piece considers how the precision delivery of agricultural chemicals will be the big revolution in farming technology over the next decade. Download the full paper here. 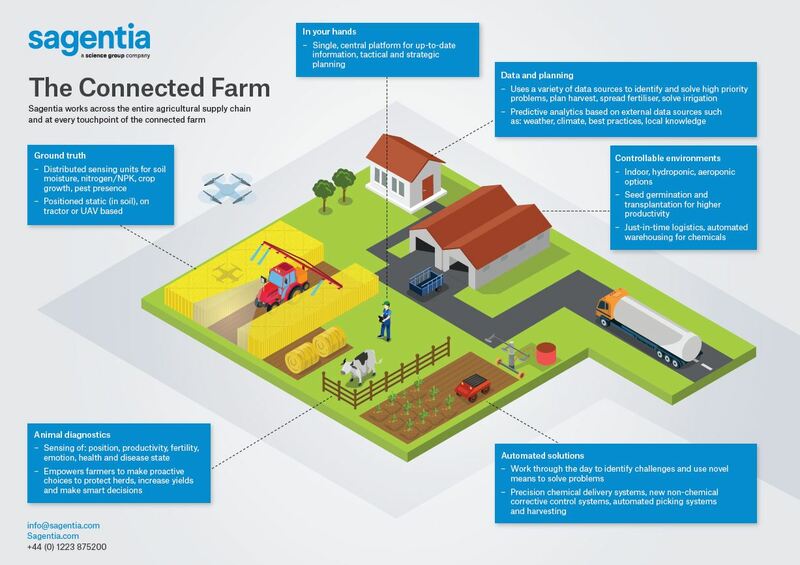 Download our infographic of the connected farm showing how every touchpoint across the agri-tech supply chain is changing and inter-connected. View our capability sheet here. Automated monitoring and control of food processing equipment such as mixers, grinders, dispensers, etc. For an informal chat with one of our technology consultants please complete our contact form.